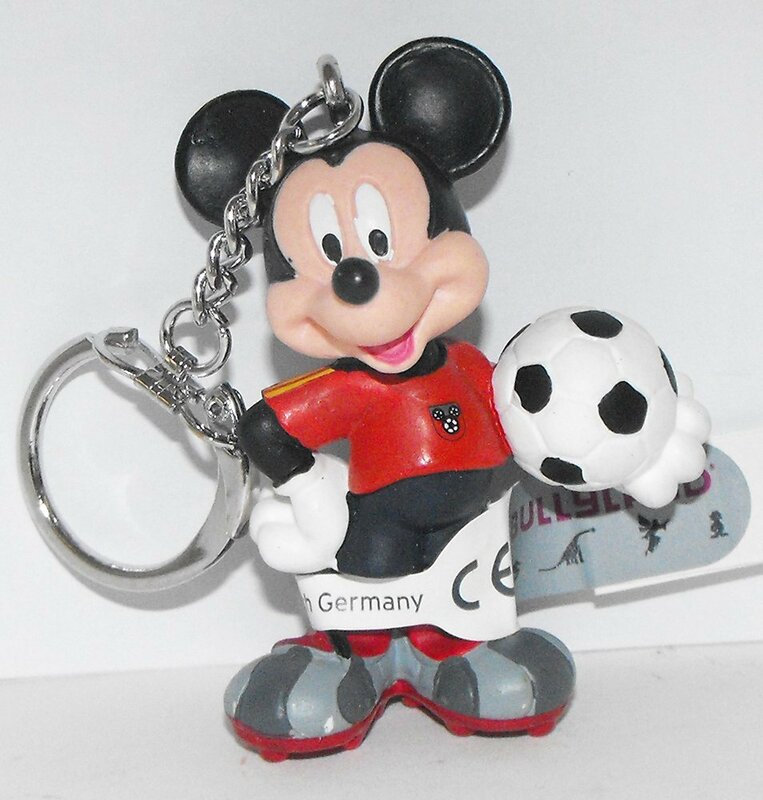 Mickey Mouse (in red uniform) Playing Soccer Plastic Figurine Keychain. This Disney Sports figure is about 2 inches tall and made of plastic. The key chain part is made of metal.